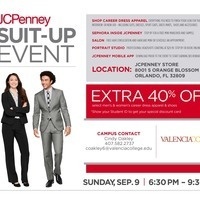 “SUIT UP” is an event for students to shop for professional dress at deeply discounted prices, not available to the public, as they prepare for career fairs, internships, graduation and future job interviews. Family members are welcome to attend! !